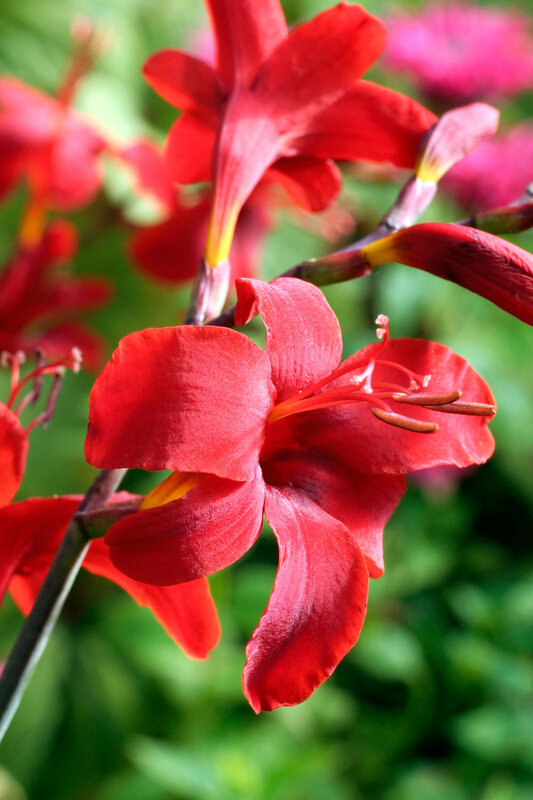 The vibrant pops of colour crocosmia brings to the summer scene makes them one of the most useful perennials to grow, at home in a country-style border or vibrant subtropical plantings with bananas, cannas and dahlias. By using varieties flowering at slightly different times you can plant a succession for blooms from July through to September. 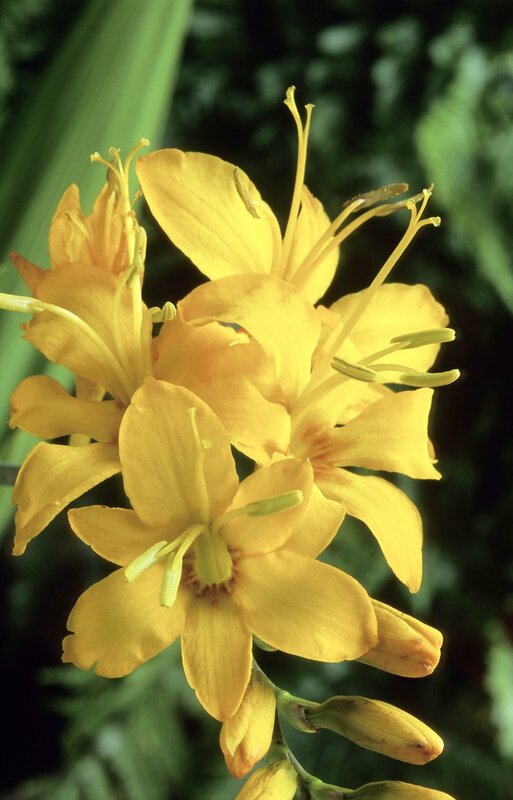 Crocosmia are bulbous perennials growing from small brown corms, which generate chains of new corms and sometimes also short rhizomes to create clumps of upright, often decoratively pleated sword-like foliage, anywhere between 60cm- 1.2m (24-48in) tall. It’s the arching sprays of tubular flared flowers we adore which are held on tough, wiry stems, among or above the foliage, which makes them effective, eye-catching gap fillers between other perennials or shrubs. Flowers come in shades of vibrant red, clear yellow, rich orange to salmon tones, with all shades and bicolours in between. Varieties such as ‘Dusky Maiden’ also have dark, bronzy foliage adding to their appeal. Originating in damp South African grasslands these bulbous perennials love moist, but well-drained soil and full sun. They establish more effectively from pot-grown specimens than dry bulbs bought in bags, but are easy rejuvenated and propagated by lifting and dividing established clumps every three to four years just before they shoot in spring.